Why not add your skills to a SKILLS bank? There are many things we seem to lose when we retire from our professional or formal career: a salary, status, routine, social circle and a reason to get up. Our feelings are often ambivalent: we are pleased to not be constrained by these needs; on the other hand, we tend to miss them and struggle to replace them with similar but fresh interests in this next season. It seems such a pity to work and build skills, experience and wisdom for 40 years and then feel as if we are no longer relevant or needed. This is a tragedy of the current retirement system. We feel younger and healthier than any former generation that has arrived at this point and yet ageism rears its ugly head in many forms. Technology is also changing the landscape both at work and in every facet of our lives. Remaining relevant and connecting can now be done at a distance via Skype and it is not necessary always to be face to face with people to make a difference. My company, Refirement Network has had a dream for a number of years to start a Skills Bank. This is a place where those of us who would like to add value or need to earn have a place where we can BANK our skills. The skills we have that we would like to share in this season. It may be as a mentoring engineer or coaching a young team through a project. It could also be reading to/with children once a week at a school or working with a group wanting to understand and master your carpentry skills. It may be once a week or for a short contract season. The challenge has been that up to now there has been no such place. We have now launched the first round of this Bank where you can list your details and skills. The vision at this stage is that once we have assets in the bank, it is possible to look for ways to invest these assets into society and the current work community. Within days of launching, I had a number of calls from companies wanting a specific skill to mentor a young team and even a company looking for a 55 + Operations manager for a large organisation. It is also a way for me to start conversations around transformation solutions when you sit with 50 engineers or teachers on your books. We have the opportunity to go off script and design an interesting and fulfilled life for ourselves. We create what we want, where we want to be and how and with whom we want to engage. It is an exciting time to be in this season of life. Building our nation and our communities takes the time and skills of young and old alike. We have more time on our hands and skills in our hands. Take a look at your goals and plans for 2017 and think how you can add value and remain relevant. Which way are you looking and learning? Most people aren’t really conscious of the fact that they’re looking in one of two directions – behind, at the past, or ahead at the future. People who tend to look backwards are going to find things getting increasingly difficult for them because, believe it or not, the past is becoming more and more irrelevant. We therefore need to spend less time on the things of the past and more time on things to come, because those are the things that are going to shape how we live and work in the next decade. Think about it … There is a big difference in size between the rear-view mirror and the front windscreen of your motor car. The rear view mirror is small and the windscreen is large. Why? Because you need to be able to have a very clear view of what lies ahead when you’re driving and, while what’s behind you is not entirely irrelevant, it’s not really as important as what’s ahead of you. So, you do indeed need a rear view mirror but only for the odd reference check to see what’s happening behind you. Taking your eyes off what you see through your windscreen for any length of time is, as you will know, a very high risk activity. If you spend more time looking in your rear-view mirror, you will not be prepared for any situation that occurs while you’re driving. In the same way, if you spend more time focusing on the past, you will not be prepared for what’s coming your way. When you get into difficulties because of your not anticipating something happening, you will have very little, if any, time to respond in a constructive way. For one, if you haven’t dedicated just about all your attention to what you see through your windscreen, you will soon leave the road or collide with another vehicle, person or object you simply did not see. By keeping your eyes on what you see through your windscreen, you can stay on the road, steer around things, brake when needed to avoid something or someone, and generally drive in a responsible and safe manner to arrive at your destination. Sure, learning has traditionally been based on existing knowledge which has been acquired from what happened in the past. All learning that takes place at primary, secondary and tertiary institutions, except for research work and post graduate studies, is undertaken according to Type 1 Learning. While that has served us very well until now, it’s no longer enough. We now have to engage in Type 2 Learning – what Scharmer refers to as learning from the future as it emerges. That’s because the knowledge and experience of leaders and their teams is increasingly not relevant to the challenge they have to face and address. How do you solve a problem that you’ve never encountered before, using information that simply does not apply to the problem? If you’re tempted to dismiss this train of thought because you’re not in learning and development, don’t. Newsflash … Learning and development is the business of everybody now. Start adjusting your learning so you learn from the future as it emerges and not simply from the past. By doing that, you will be better prepared for what’s to come in the future of work. New York, New York … More fun, thanks to technology! I have a firm belief that a person should never stop learning. I also have a deep passion for travel. On a recent trip to New York, these two loves in my life combined in a unique way as I experienced the joy of learning through travel. For me, travelling to a new and energising city always has certain challenges, especially when navigating the city using cumbersome street maps – especially because I now need to find my glasses to be able to read the map! I am often unsure about which are the most exciting places to visit within our limited time. In addition, I appreciate good food and feel it is a waste to spend dollars on a disappointing meal. On this trip, thanks to my tech-savvy friend, these problems miraculously disappeared. I learned to use my mobile phone to log onto Google maps, identify my current location and target destination, click on the “walking” icon and follow the instructions. Access to the internet required wi-fi, but this never seemed to be a problem. Most large stores offered free wi-fi and there seemed to be a Starbucks on virtually every corner in the city. I discovered walking tours instead! In New York, there is a seemingly infinite number of these and you can choose one to suit your needs. I simply love food, so we chose the China Town walk. The guide made the experience so interesting by explaining the culture and history of the area we meandered through. The food was great too: we sampled from the best restaurants in the area (I will remember the dim sum and Peking Duck for a long time). We used the Bib Michelin app and Trip Advisor to identify restaurants with fine food at reasonable prices. Bib is the rating system used by the world-renowned Michelin judges; here the establishments are not awarded Michelin stars but still need to be of an acceptable standard and price to get a rating. A non-negotiable for me when travelling without my husband and three children is to call home regularly to share my experiences. Normally, this results in a huge bill at the end of the trip, but not this time. I called home on Whatsapp Call, a brilliant new way of chatting across continents. There was no delay and the reception was crystal clear. I could even send images so my family could see where I had been. So, fellow travellers, remember to embrace technology on your next trip. It will make the learning experience so much easier and more memorable. Click here to read the rest of this month’s newsletter. 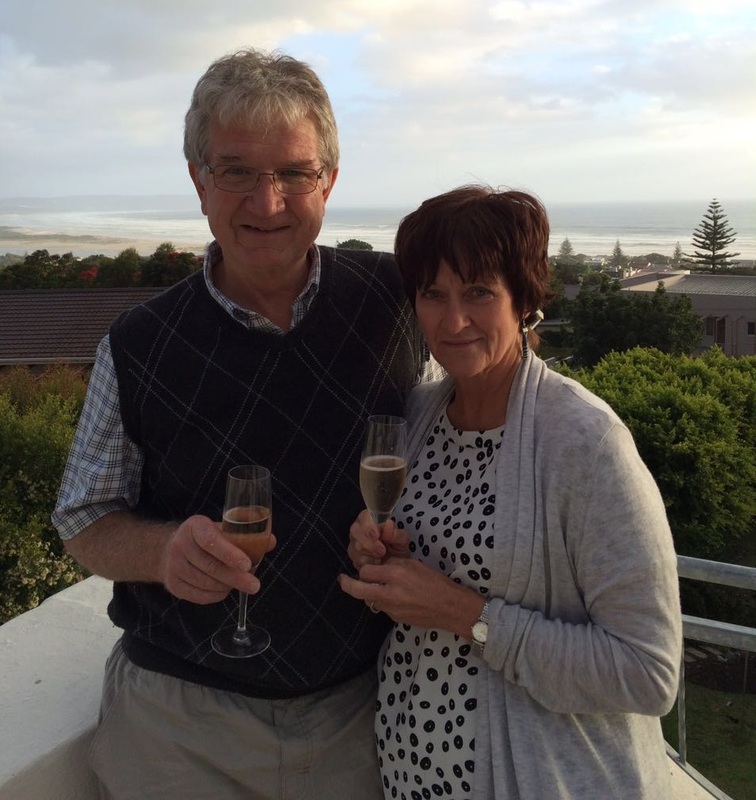 Chartered financial planner, Sybille Essmann, gave herself a sixtieth birthday gift of ticking off some travel bucket list items. 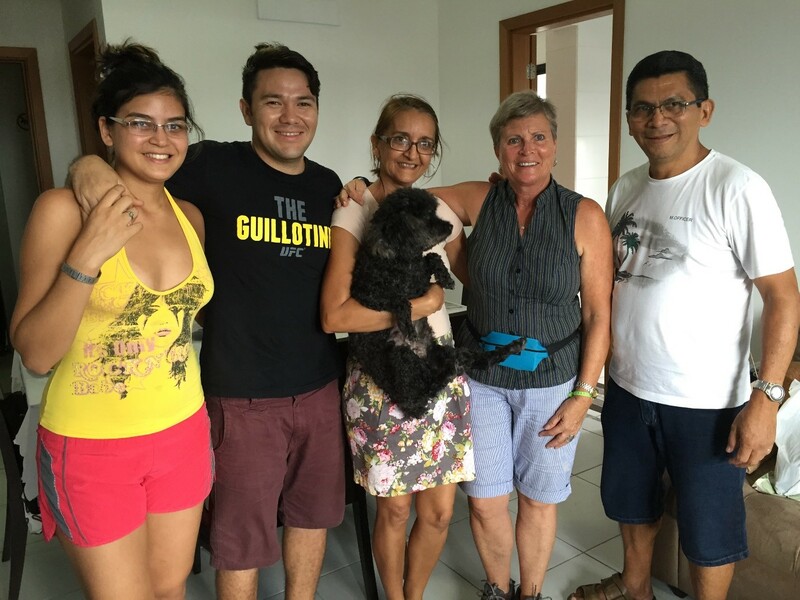 In this article, she shares the benefits of AirB&B and TripAdvisor. I would consider myself an intrepid traveller. Throughout my eight months exploring the East, followed by a further nearly five months in South America, I rarely knew more than a week in advance where my compass was heading; if there was one thing that would take me out of my comfort zone, though, it was not knowing where I was going to put my head down at night. In the East, I had made extensive use of the TripAdvisor App which I had loaded on my trusted iPad mini. TripAdvisor lists hotels, B&Bs and hostels in nearly all parts of the world. What made it attractive for me was that fellow travellers are invited to review the various establishments which meant I could make an educated decision as to where I wanted to book. The app has links to various booking agencies such as Agoda, Bookings.com and Hostels.com and securing a booking by means of my credit card was child’s play. Because I was so grateful for honest appraisals, I became an enthusiastic reviewer, not only of accommodation but also of listed restaurants I frequented and things I had done in places I visited. I believe, to date, close on 24 000 people have read my reviews. 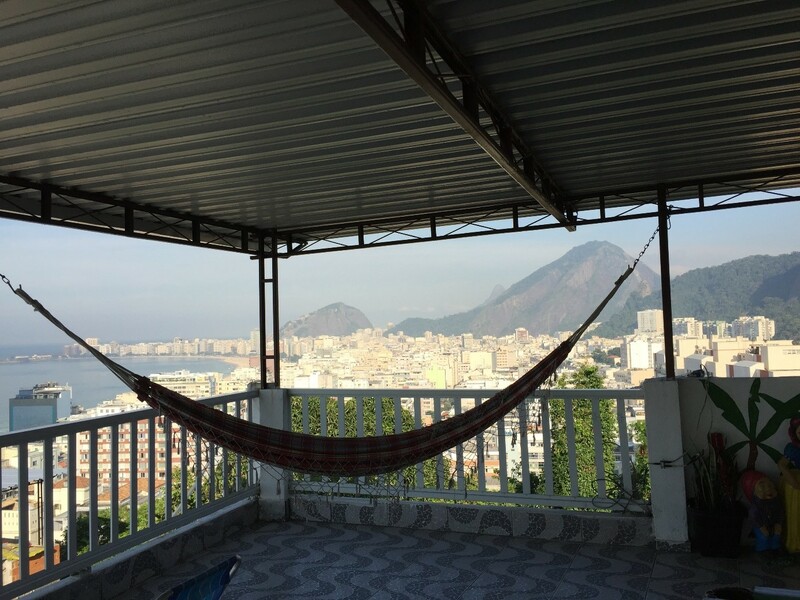 When I started planning my trip to South America at the beginning of 2015, I needless to say consulted TripAdvisor and I was mortified at the cost of accommodation in São Paulo, Brazil where even a modest hostel room would have set me back a pretty penny. Intrigued when I perchance came across a link to the AirB&B website, I investigated further and found that the website had been started by a couple of entrepreneurial students that rented out their living room with three air mattresses during a sold-out trade show in 2008. From these humble beginnings, AirB&B now has a footprint in over 191 countries with over 1,5million listings from shared space in family homes to mansions, castles or even luxury yachts. My first AirB&B experience in São Paulo was so memorable that it became my preferred choice of accommodation throughout my travels through South America. I was amazed that even when I clicked on the remotest village in the far flung Andes, I would find an AirB&B room. As with TripAdvisor, AirB&B has a very user-friendly iPad app; once I had downloaded it, I created a personal profile with a picture, a short bio and credit card details. When booking, I would enter my parameters such as dates, price range, single room and then choose my accommodation based on favourable pictures, how many stars had been awarded and reviews from other travellers. My booking request would be forwarded to the host and they, in turn, could scrutinise reviews other hosts had posted on me and then agree or not agree to entertain my booking. I use the word “entertain” advisedly, because I can unreservedly say that every host, without exception, made me feel exceedingly welcome, offered invaluable advice and a wealth of information and some even went as far as collecting me from the airport after midnight or taking me to catch my transport before the sun rose. The room might not have always been five-star, but I am forever grateful for the impact these fine people made on my life. If you want to really get to know a country intimately, AirB&B is the way to go. From nuclear physicist to student of languages, Chartered client, Charles Piani, revived a passion for his Italian culture … by learning the language nearly fifty years on! “I grew up in a semi-Italian home. My father was Italian and I remember how my family used to spend time with the Italian community when I was very young. After being retired for a few years, and urged on by the Learn in the Balance Wheel, I needed to find a new challenge. Learning Italian seemed to be an answer,” says Charles. Charles is now almost seventy and has been retired for close on five years. After completing his doctorate in nuclear sciences, he began a career that would last forty-five years. 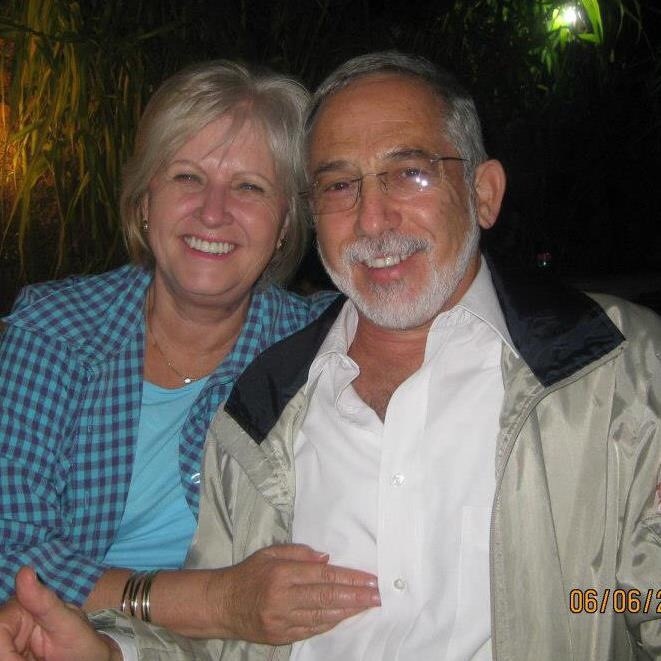 “I really enjoyed working in many areas of the nuclear sciences industry, including developing the local manufacture of fuel for the Koeberg nuclear power station and managing the SAFARI-1 research reactor at Pelindaba (medical isotopes) and later doing consulting work all over the world,” he explains. Completing a Duolingo course is not easy. “There are sixty-six separate modules in the Italian course. Naturally, they start being relatively easy and become progressively more challenging. The system does not allow you to progress to the next level until you are successful at your current one,” says Charles. Fortunately, Duolingo has a facility whereby the student can “speak back” to the programme. “It’s amazing. Using the microphone on the computer, you can repeat Italian phrases to the programme, which gives you basic conversational skills,” explains Charles. You guessed it. “Now I am trying to learn Sepedi, so I can communicate effectively with the locals. Our church has appointed a Sepedi teacher – over 16 weeks for 25 students – but it’s much more difficult than Italian,” he laughs. Training your brain can be fun! Chartered client, Roz Binge, has started a brain-training trend at Chartered by recommending an excellent online programme. Lumosity.com offers you the opportunity to train daily … and the exercises are fun! Roz explains the Lumosity packages available and why she loves this programme in her article. Spurred on by several friends, all younger than myself, I explored the Lumosity website some six years ago. After a few days of playing the limited number of free on-line games, I took out a one-year membership (currently US$59.95). When this expired I found I was missing my 15-minute personalised programme in the brain gym and opted for a lifetime membership (US$299.95). The programme focuses on core cognitive skills: memory, speed, problem solving, attention and flexibility, and has about 50 games, created by their team of scientists and designers. Fewer games are available if accessed via iPhone, iPad or android. There are similar brain training programmes available, such as Elevate. I confess to not having researched and compared any of them with Lumosity. Lumosity ‘works’ for me. I enjoy my sessions and can train and exercise and challenge my brain as frequently or infrequently as I choose to. Ticking the mental muscle box makes me feel a whole lot better on those (too frequent) days when I can’t summon up the physical energy to get into the gym. There’s plenty of variation; my programme changes daily and I can extend it by choosing any games and repeating them as often as I like. I get a kick out of mastering a particular game and seeing my scores improve, but I don’t take it too seriously. Those of the 70 million users (apparently aged 8 to 108!) who like to monitor their progress, can view their personal statistics daily and compare themselves to others in the same age group. As keen as many people are on brain gym, believing that it’s important to challenge your brain to keep it healthy, the jury seems to be out on how effective it is in raising your IQ, halting a degenerative disease like Alzheimer’s or helping you remember the names of your new neighbour’s three dogs. Click here to try Lumosity for yourself – sign in for the free membership to see if you enjoy it and receive your three complementary games daily. According to Nick Stodel, MD of Stodels Nurseries, this month is an excellent time to get stuck into the garden. “Autumn is ideal for getting plants into the ground in order for them to take root and establish themselves, ready for a growth spurt in spring,” says Stodel. It’s time to plant your own veggies for the perfect winter soup, potjie or casserole. Plant broad beans, beetroot, celery, peas, cabbage, carrots, cauliflower, spinach, onions, lettuce, garlic, leeks, parsnips, parsley, turnips and asparagus. Quick tip for planting asparagus: The crowns must be spaced 45cm apart, so dig a trench 45cm wide and 25 to 30cm deep. May is the month to cut back Michaelmas daisies, penstemon, chrysanthemum, obedience plants (Physostegia), plectranthus, dahlias and cannas. 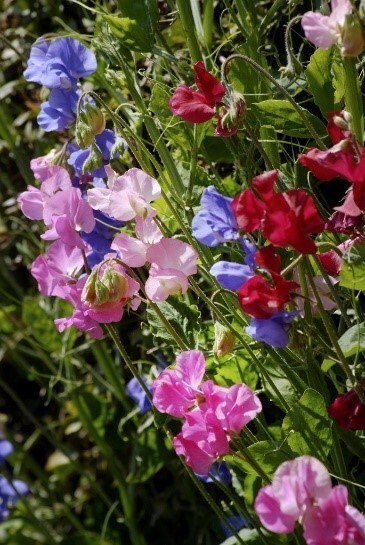 And a hot tip to encourage sweet pea growth is to mulch regularly, snip off new tendrils and side shoots, and use a trellis or stake to keep individual plants upright. Feed azaleas, camellias and tea bushes a handful of 3:1:5 per bush. Mulch with compost and keep then well-watered. Boost lawns with a handful of 2:3:2 per square metre. Treat a Yesterday, today and tomorrow shrub with magnesium sulphate. Show indoor plants, like calceolarias, cinerarias, cyclamen, daffodils, hyacinths, jonquils, narcissi, poinsettias and primulas, some love with a liquid fertiliser every two weeks. As a new bowler, you will more than likely be asked to play Lead in a game of tabs. First and foremost, take an interest in the game. Get to know the names of the bowlers in your rink. Get to know which bowls belong to who, and note who won the end so that you know when the jack is yours. After the toss to see which team goes off first and if the mat is not yours, find and give the mat and jack to your opposing lead and put up his/her bowl for him/her. Stand behind the mat in silence with the other bowlers whilst the jack is delivered. If after the toss, the mat is yours and after delivering your bowl, stay on the mat so that your Skip can show you how short or long you are. Listen to your skip – if, after a short end, the bowls are clustered 8 metres from the ditch then the call of ‘bring the mat up’ means rather than kicking all the bowls back 8 metres, bring the mat forward 8 metres. When it is your turn to play your second or third bowl (Trips), wait for your Skip to give you an instruction as to which hand to play. If as Lead you deliver the jack and it goes into the ditch, remain on the mat and when your Skip rolls it back, pick it up together with the mat and hand them to your opposing Lead. After he/she has delivered the jack, it is still in fact your mat, so be ready to deliver the first bowl. Keep to the confines of your rink. Don’t leave the mat side and start walking down the rink before the opposing 2nd’s bowl has come to rest or at least wait for him/her to start walking first. Keep still at the head and don’t wave you arms about when the Thirds and Skips play their bowls. You may ask questions discreetly; for example, why the Skip is asking for a particular hand or to explain a certain tactic. If when you are at the head, the jack is driven back by a bowl, all bowlers except the Skips should stand on the bank so as not to clutter the head. If it is a long end and bowls are in the 2 metre space between the jack and the bank – also stand on the bank. 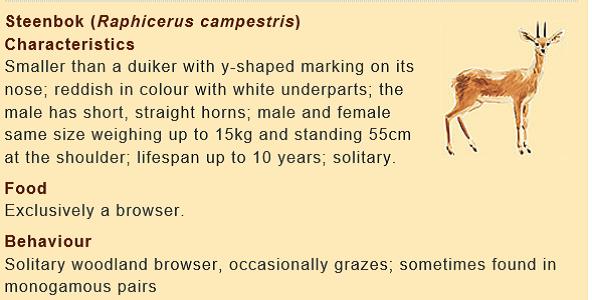 If a bowl touches the jack and then goes into the ditch, it will be marked as a toucher, and is regarded as “alive” and its position in the ditch clearly marked. DO NOT pick this bowl up. If an opponent’s bowl goes into the ditch, or goes out of the confines of your rink, out of courtesy ask “Can I remove the bowl” before lifting the bowl on to the bank. Do not stop the bowl before it reaches and lands in the ditch. Be prepared to alert your Skip or Third to stop a bowl if it is veering into the next rink with reverse bias or if another bowl has hit the head and veered towards the next rink. Keep out of the head while the Thirds agree the count, measuring if necessary. Do not start kicking the bowls away until they agree on the count. While the Thirds are responsible for the count, it is quite in order for a lead to suggest a bowl has been overlooked or to suggest a measure is taken. Help to kick the bowls back to a point to the right hand side of the mat – when facing the bank. Refrain from having a conversation while someone is on the mat. Don’t sit on the bank (Unless you have a very good reason). Never criticise the performance of your team mates – everyone is trying their best. If one of your opponents knocks up one or your team’s bowls to give you the shot, don’t show ANY excitement!! Quietly say “Bad luck”. The Royal Greenhouses of Laeken, Belgium are worth visiting for their impressive structure as much as for the plants themselves. These royal hothouses were built during the 19th century, benefitting from the latest technical progress in construction, notably with metal and glass. 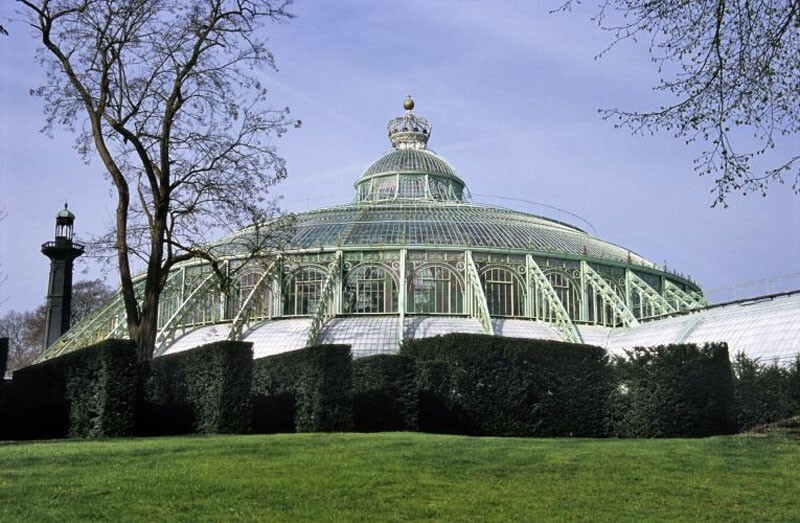 Designed for King Leopold II in 1873, the greenhouses are located in the grounds of the Royal Palace of Laeken in the north of Brussels. 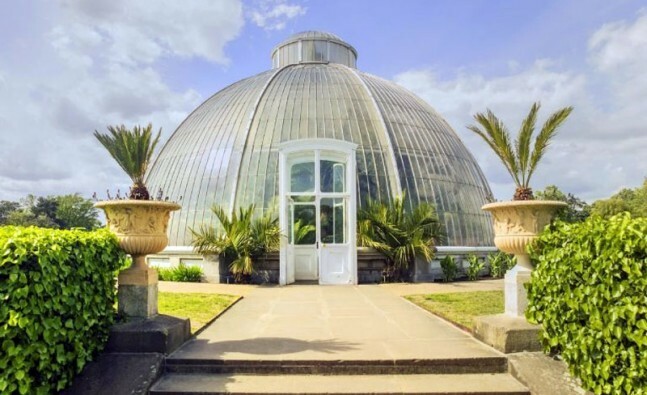 With their towering domes, the greenhouses rise like a palace of glass. Certain plants are said to be of the original plantation ordered by Leopold II. The Royal Greenhouses are also home to rare plants. The Royal Greenhouses are open to the public for a few weeks in spring each year. 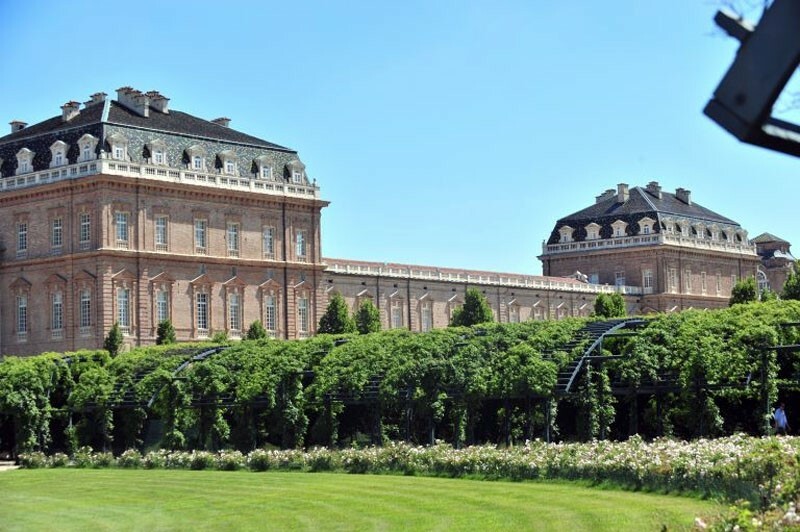 Built during the 17th and 18th centuries, the Palace of Venaria, in Venaria Reale, is located near the city of Turin. Classed as a UNESCO World Heritage Site, the palace is surrounded by gardens, including the ‘Potager Royal’. This kitchen garden is the largest of its kind in Italy, covering 10 hectares. The garden was recently restored to produce what it originally provided for residents of the palace. It has been designed to respect the original project, with features such as fruit trees, a vegetable garden, water ponds and fountains set harmoniously among elements added during the renovation. Louis XIV, the renowned king of France, was said to be a keen gardener. The so-called Sun King apparently learned to prune trees alongside his gardener, Le Quintinie. Charged with supplying the royal kitchens with fresh produce, Le Quintinie apparently worked wonders with the Versailles ‘Potager du Roi’ in spite of its unproductive earth. 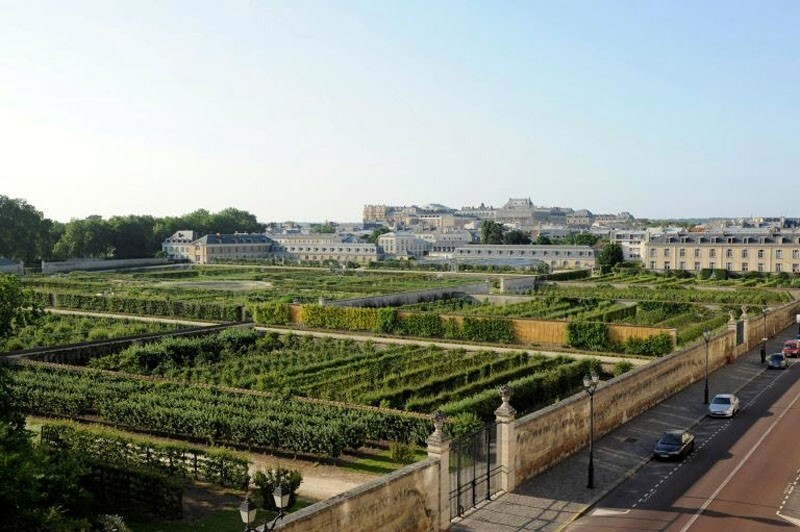 The gardener used manures to suit the soil types, exploited sun exposure, and famously used glasshouses and cloches to produce fruit and vegetables out of season.Split into several rented plots after the French Revolution, the kitchen garden was returned to the Versailles estate at the end of the First Republic in 1804. The Royal Botanic Gardens of Kew are historic landscape gardens on the outskirts of the British capital. Kew’s various elements offer examples of different periods of garden design, from the 18th to 20th centuries. Sitting alongside the River Thames and created in 1759, these gardens have contributed to the study of plant diversity and economic botany. This summer, starting in June, the Gardens will present ‘The Hive’, an exploration of the world of the honeybee, with Wolfgang Buttress’ installation used at the UK Pavilion at the 2015 Milan Expo. 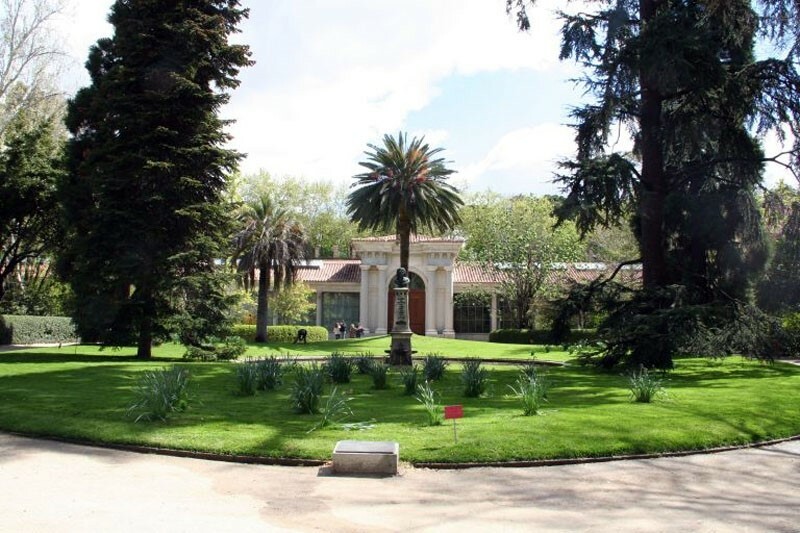 Madrid’s royal botanic garden was founded by King Ferdinand VI. Created in 1755, this neoclassical-style garden located in the heart of the city is dedicated to conservation and raising awareness about plants. It is home to over 5 000 different species and has two greenhouses with tropical, temperate and desert climate zones. Keep your brain sharp by answering these questions as you enjoy wandering through the lovely gardens. Who welcomes you to the vegetable garden? How many double-bar arches do you need to walk under to reach the sculpture from the ‘ruins’? What is the young woman, depicted by the sculpture at the end of the colonnade wearing? A pair of peculiar birds marks the splitting of the path near the pool. They are the only birds with fused first and second neck vertebrae, a more stable platform for carrying the bill. 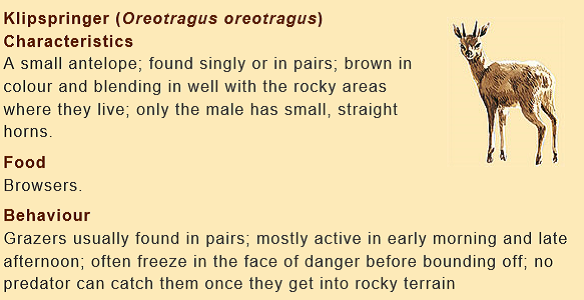 They are monogamous, and are threatened by extinction. 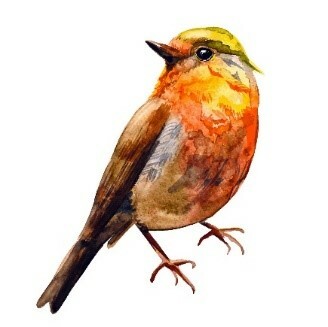 What bird is this? What gregarious bird has made the patio table its home? Where is the legendarily massive Water Oak situated in the garden? Circle the ONE correct answer. What is the motif of Beechwood Gardens? 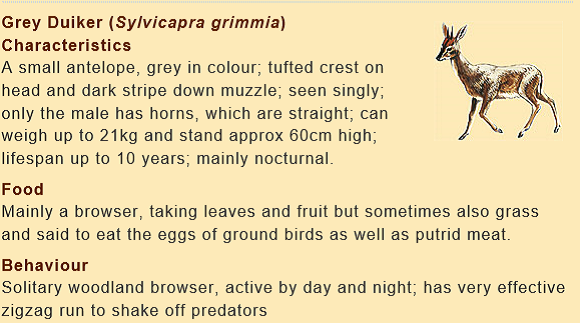 An earlier question asked you to identify an animal in the garden using an adjective such as equine, leonine, porcine. Can you match the animal to the adjective below? If you do take the opportunity to wander through the garden, you will note the prolific birdlife – that tweeting indicates some very happy feathered friends. 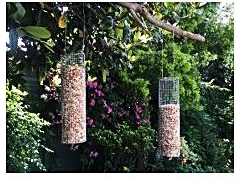 If you would like to treat the ones in your garden – or buy a special gift for a friend who loves birds – please click here to see what Happy Feed has to offer. They deliver to your door in a colourful tuk-tuk, and take online orders … what could be simpler? Click here. 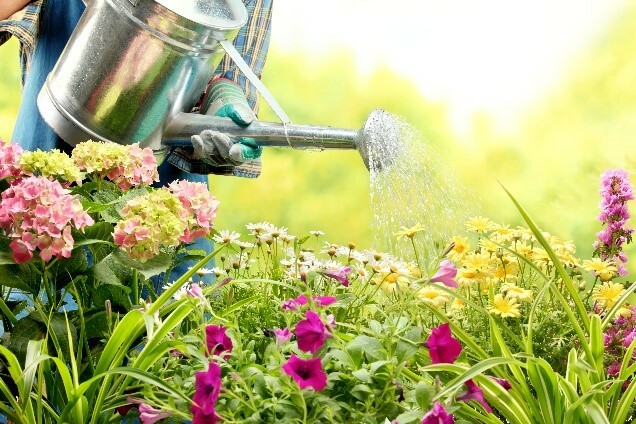 Does your garden need Tender Loving Care? 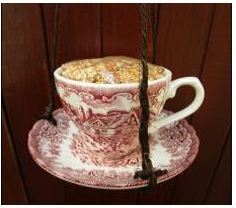 Sarah Walker of The Little Flower Workshop will come to your garden and add her magic touch! She specialises in roses, especially pruning, but she also clears your garden and prepares it for your winter planting. She is extremely knowledgeable and can advise you on what to plant, when. Contact Sarah at sarah@thelittleflowerworkshop.com or click here to go to the website. Click here for a glimpse at some Royal Gardens in Europe, open to the public usually only in the Spring.